Platelet Rich Plasma or PRP treatments have been offered for years for facial rejuvenation and soft tissue repair. The Kardashian's TV show on E! brought the benefits of Eclipse PRP procedure to the mainstream media for the beautification of the face by building collagen and reducing the signs of aging. Now PRP has shown a benefit for hair growth as well. This new treatment has shown great success under physicians like Dr. Jeffrey Rapaport and has been featured Good Morning America for both men’s and women’s hair growth stimulation. Now this cutting-edge noninvasive procedure is being offered by Evolution Hair Loss Institute performed by the South Coast MedSpa in all 3 Southern California Locations. At Evolution, Platelet Rich Plasma injections are typically coupled with the Evolution Hair Regrowth program involving FDA-Cleared laser treatment for hair growth as well as the Advanced Trichology product program for maximum hair regrowth. All options will be discussed during the initial consultation. The PRP for hair loss procedure is typically repeated every 6-8 weeks for the first 6 months, then repeated 1 time per year for maintenance. 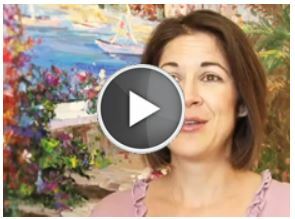 Book your free consultation today by calling 480-222-4247 and ask for a PRP Consultation. INTRODUCTORY PRP PACKAGES Available for Limited Time! 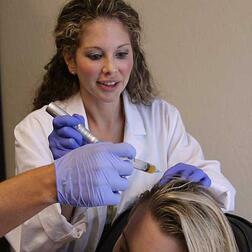 Platelet Rich Plasma for Hair Loss?